Erected by Picayune Main Street. Location. 30° 31.457′ N, 89° 40.822′ W. Marker is in Picayune, Mississippi, in Pearl River County. Marker is on U.S. 11 near Tate Street, on the right when traveling south. Touch for map. Marker is at or near this postal address: 200 Hwy 11 South, Picayune MS 39466, United States of America. Touch for directions. (within shouting distance of this marker); Picayune (approx. ¼ mile away); The "Hancock Rebels" (approx. 4.2 miles away); John C. Stennis Space Center (approx. 13.3 miles away). More. 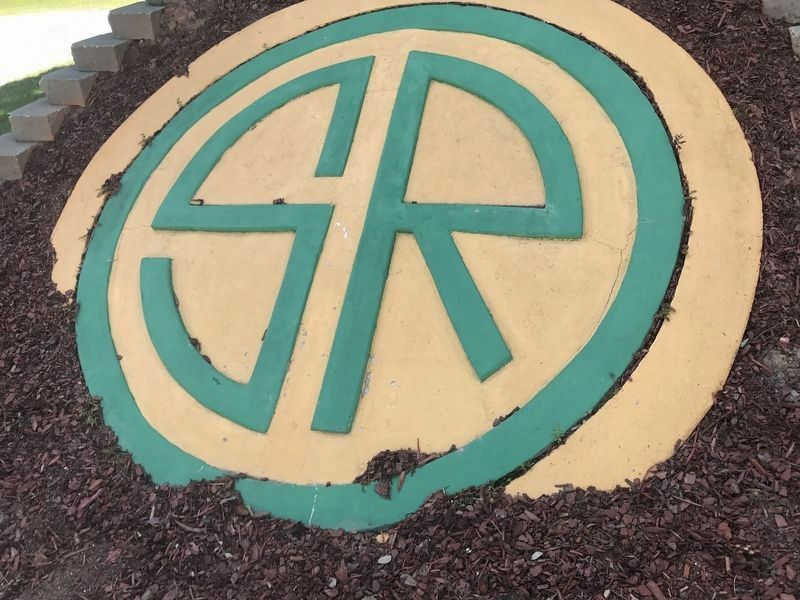 Search the internet for Southern Railroad Logo. Credits. This page was last revised on May 13, 2017. 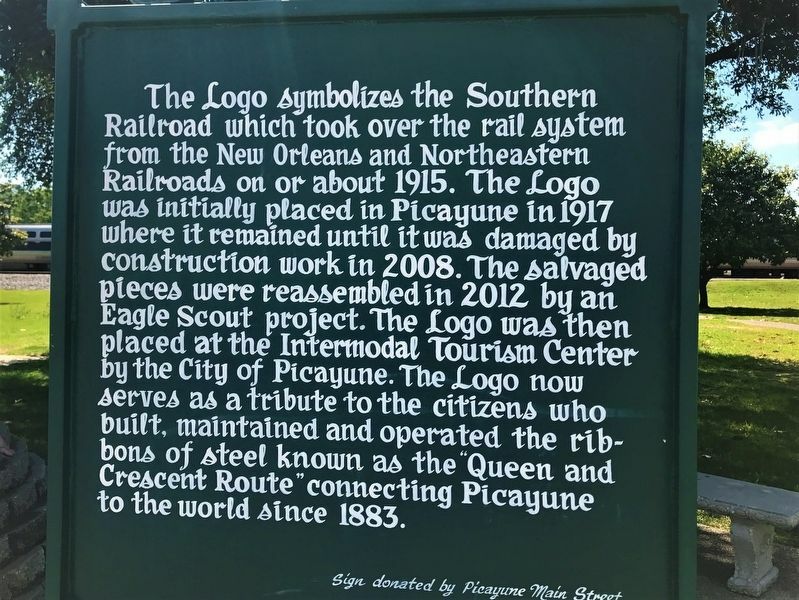 This page originally submitted on May 13, 2017, by Cajun Scrambler of Assumption, Louisiana. This page has been viewed 139 times since then and 9 times this year. Photos: 1, 2. submitted on May 13, 2017.